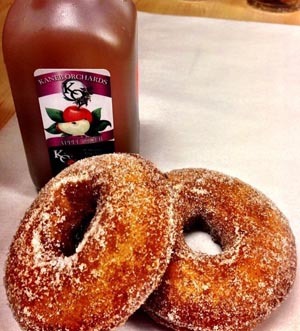 One of the most popular items at the cider house are our Hot Fresh Cider Donuts, made all day long! They are made with our fresh pressed apple cider, rolled in cinnamon sugar and packaged for you to take home or enjoy immediately! 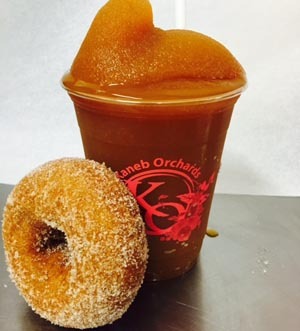 You can enjoy an apple cider slushy along with your cookie or apple crumb muffin! 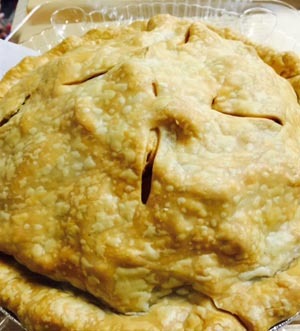 Fresh apple pies are a favorite and sell out fast! Fresh picked apples from the St. Lawrence Valley. Kaneb Orchards is located just off State Hwy. 37 in Massena, NY … just minutes from Canada. We are open every Friday, Saturday and Sunday, from 10am to 5pm during the fall season. More than 36 varieties of apples are picked and sorted by our farm professionals from August to November for your convenience. 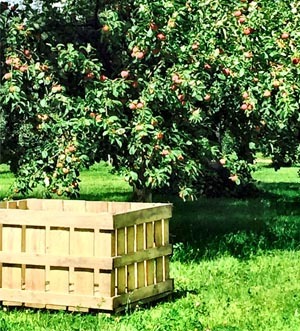 You can purchase apples by the 1/4 peck, 1/2 peck, peck, 1/2 bushel, and bushel. We do not sell drops. Our orchard is a NO PICK orchard. 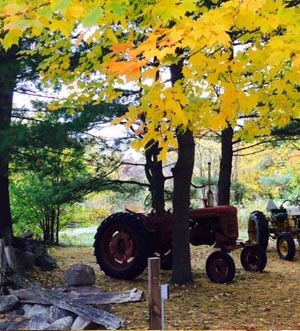 Our delicious cider is produced on site and can be purchased at the Cider Mill. A large fruit stand gives you the chance to bag the right kind of apple for your favorite recipes, or for a wholesome and healthy snack right out of the bag. Fresh Fruit and Bakery Products for your Business or School can be arranged with our full delivery service. Kaneb Orchards is a licensed vendor for fresh produce and farm products for restaurants, colleges and universities, grocers and more. Fresh cider available in the following sizes: Gallon • Half gallon • Quart • 12 oz. Donuts available in plain or cinnamon sugar. Available sizes: 1 dozen • 1/2 dozen • Minis.